Opening Sentences: A yellow sky with yellow sun, a jug in squares of blue and white, a reddish cap and orange bricks, twelve flowers that are light on light. 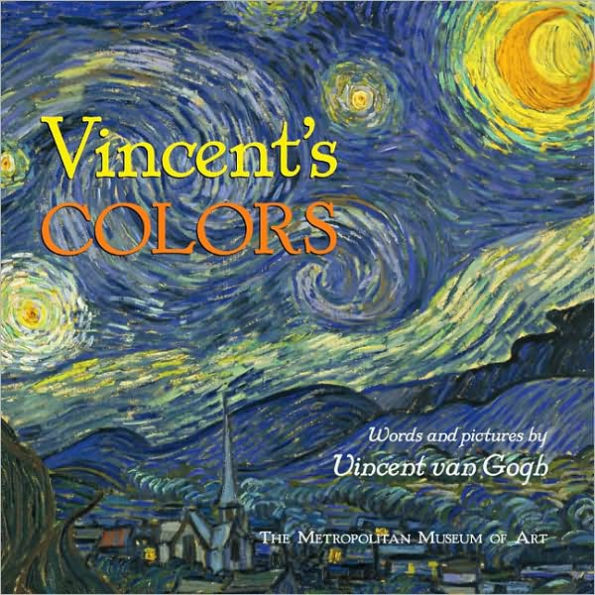 Synopsis: This is a beautiful book that introduces children to van Gogh through his own art and his words about his art, either directly translated or interpreted from his letters to his brother, gently rhyming text. There’s only one line of each stanza per two-page spread. It is absolutely lovely. From the jacket flap: “Van Gogh’s descriptions, arranged as a simple rhyme, introduce young readers to all the colors of the rainbow—and beyond. The simple words combine with spectacular reproductions of many of the artist’s most beloved and important works…” There is information in the back matter about each of the paintings, for further learning. For Further Enrichment: There’s a nice review on BookLoons. And here’s a Perfect Picture Book Friday blog post by Leslie Leibhardt Goodman about the book. Of course, since it’s a PPBF post, there are resources shared. There’s a biography of van Gogh for kids on the Ducksters Education website. Check out the van Gogh museum – at least online, if you’re not in Amsterdam. Here’s a cool Starry Night craft from the Crafty Classroom website. Availability: Despite it being published in 2005, it is still in print, though may have to be ordered rather than being readily available on the bookstore shelf. Check with your favorite independent bookstore, in person or online. Hi, Beth, Thank you kindly for adding a link to my review of Vincent’s Colors. This book became an instant favorite the moment I paged through the colorful illustrations and read the lovely rhyming text. This truly is a book worth sharing. You’re very welcome, Leslie. Thank you for writing such a good review. It is a wonderful book! This is such a lovely book and would make a great addition to any child’s library. You’re right, Darlene. Actually it would make a great addition to anyone’s library.